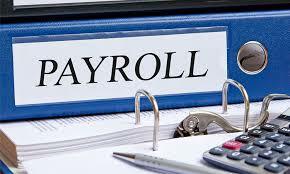 Payroll is a common occurrence across all organizations, irrespective of their size or shape. It is a well-known fact that running a payroll manually requires a lot of work, time and dedicated effort from HR and Finance teams. If you are still running your payroll in Excel sheets, you must have realized by now that it is not only tedious but also presents several problems for your organization including a high risk of data loss, disorganized payroll processing and a high probability for human errors. Manually inputting all your employee’s payroll data into an Excel sheet is not a foolproof process. A single wrong entry could result in a completely inaccurate record and finding the source of the error can be time-consuming. In case, you cannot pinpoint the error, all your payroll data has to be validated again. Using Excel sheets to run your payroll will place a considerable burden on your HR and Finance teams as they will be stuck with mundane activities like documentation and repetitive cross-checking of the payroll data. Untimely or incorrect payments can be a recurring problem. Some employees in your organization might have complex salary structures that require careful calculations for accuracy. Excel sheets certainly will not make it any easier for you when running complex salary structures and calculating employee leaves. If you are manually processing your payroll, complying with statutory state and national laws can become a cumbersome process. Severe fines or penalties can be awarded for non-compliance. The statutory compliance’s required for Indian payroll range from minimum wage, TDS deduction, ESI and PF contributions to gratuity, EDLI and many more. The use of excel sheets to process payroll will lead to the creation of multiple sheets and files as you need different documents for employee information, payroll, leave, claims and other data. Leave and Attendance is an important part of payroll. Manually calculating monthly leaves for every employee of your organization is an inefficient and time-consuming process. On top of this, tracking attendance and work duration in excel sheets every day will lead to a pile-up of worksheets and documents which can be frustrating to keep a track of. Miscalculation of leaves can lead to employees getting more or less than they are actually eligible for. This can have a negative impact on your employee satisfaction levels. If you are using excel sheets to run your payroll, employee data such as attendance, leaves, investment declarations, and deductions need to be entered or uploaded manually. A lot of management is required for excel sheets with exhaustive data. Even a small adjustment in a formula can disrupt complex calculations which will lead to incorrect payments to your employees. Such a mechanical system is tedious and leads to the unproductive use of resources. Employees spend their valuable work time in carrying out repetitive tasks over and over again which can lower their morale. There is inadequate security, especially for your confidential information, if you process your employee’s payroll on excel sheets. Any unauthorized access to the excel sheets could easily result in data loss or corruption. Employees have a lot of expectations on their organization and safeguarding critical employee information is crucial for meeting those expectations. So how do we fix manual processing of payroll? The solution to your payroll problem is very simple. Switching from a manual process to a cloud-based HRMS platform will ease your burden in running monthly payroll and tracking leave and attendance for your employees. So do away with excel sheets and manual calculations. Fall in the category of wilful defaulter or not ? This entry was posted in Finance and tagged Factories and industrial problems. Why you should start investing early for your children ? Is an end to harassment of Taxpayers?